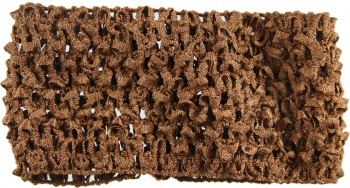 This is a light brown crochet headband that is 2.75 inches wide. 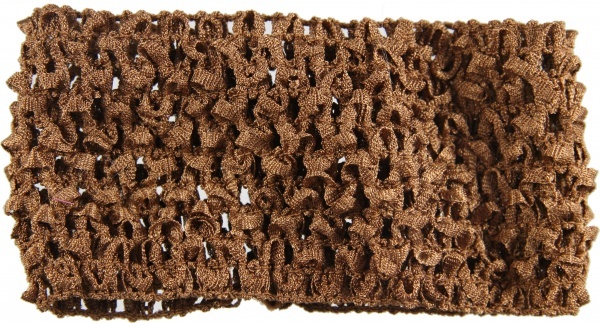 This headband can be worn alone or dress it up with some different colors. The daisy flowers and 411 topper series bows will look great with this headband. Look for pink and brown colors and themes and also a brown and white polka dot daisy flower that matches this perfect. This stretchy material fits over small to medium size heads and is very smooth and soft.